I enjoy the Flavia books so much that I will continue reading them; this one in particular has beautiful passages well read by the narrator. As the series progresses, the reading becomes better. I wish to hear fewer exclamation points in places where there would be more meaning without them; nevertheless, the reader has captured a spirit of childhood and mischief and loneliness and love and inner strength and spriteliness and warmth that I think many narrators might have been unable to encompass. Flavia's emotional range is not lost on this narrator. And the writing is top drawer. Often words drop away out of your mind, leaving only story: yet they are the perfect words. 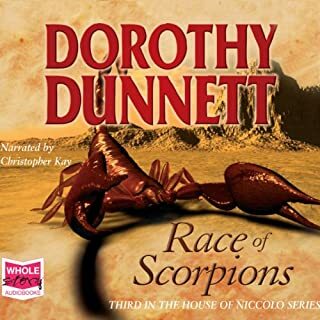 The only reason I don't give this auther five stars is that Dorothy Dunnett exists. She is a five star writer and has spoiled me for most others. great story, highly entertaining. doesn't reach the heights of literature, but it helped pass the time pleasantly on the long commutes. great for a scifi video game nerd of any age or gender. When Niccolo's wealthy older wife dies in Bruges, he finds himself - at the age of 21 - in the dual role of prosperous merchant and sought-after military strategist. Niccolo's powerful private army is coveted by two warring rulers: steely Carlotta, Queen of Jerusalem, Cyprus and Armenia; and her lethally charming, illegitimate brother, James, who is determined to wrest the kingdom from his detested sister. But Niccolo's suave demeanour and physical prowess and his ability to turn a profit as well as a battle, attracts dangerous lovers. Thomas is English but the reader gives him a French accent. Nicholas and Primaflora have the same background and mother tongue, but the reader has Nicholas unaccented while she speaks with a French accent. Nicholas, Katelina and Gelis all spent a large portion of their childhoods in Bruges, but Nicholas is again unaccented while they have accents when they all speak Flemish. The accents are inconsistent. They separate us from nuanced inflections and GET IN THE WAY. Who chose this reader? Who produced this sad excuse for an interpretation of a book filled with skilled polyglots? LOSE THE ACCENTS. REPLACE THIS PRODUCTION. What a disappointment. I've read Books 1 and 2 multiple times and now, after my first reading of it, I have to say Book 3 merits the same attention. This series is a romp. The only reason I'm giving them each 4 stars instead of 5 is that I think each book is a bit short and Books 1 and 2 end somewhat arbitrarily. This benefits commercial interests at the expense of my pocketbook--but hey, I bought them. Nobody twisted my arm. 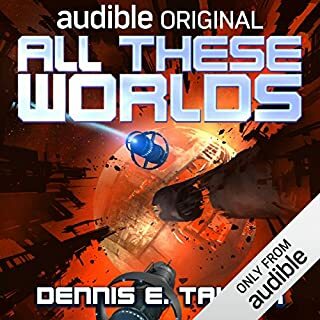 I usually reserve my Audible credits for long books. Few are good enough for me to break my "nothing under 15 hours" rule (Roger Zelazny's Amber and Chaos series come to mind as worth a similar sacrifice). I hope some day these three will be bundled into a single volume, as I see no aesthetic reason for them to be 3. Maybe there is a Bob joke in there somewhere and I should rather look for similar but slightly different volumes to occur in cloned universes. Bring it on, Mr. Taylor. I could listen to these books for months, I think. I love the characters, the science, the story, and the humor. Bravo to the author. And the reader never his a false note, in my view. This book also bears up well for rereading. After the first few chapters, every element is horrible, disgusting, and mediocre in a sleazy way. Most of the women have no depth. Lots of unmemorable bunny trails in the plot. 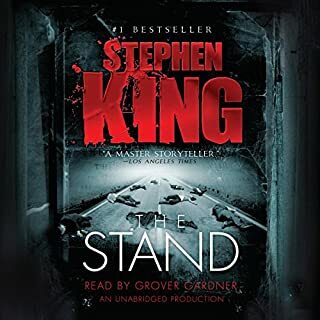 The narration, though admirably unflinching, contains mispronunciations. I couldn't finish it. 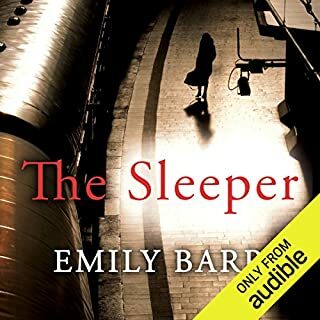 I'm not a fan of the reader, though at times her accent seems perfect for the setting of the story, because her interpretation came across too often as robotic. Nevertheless, the story itself is so good that I gave it five stars overall. I will look for anything written by this author. The story is complex, beautiful, organic, surprising; and moments in it remind me of how some poets make use of a sprung rhythm to add a richer dimension. You'll see what I mean when you read it and encounter these sprung rhythms yourself. 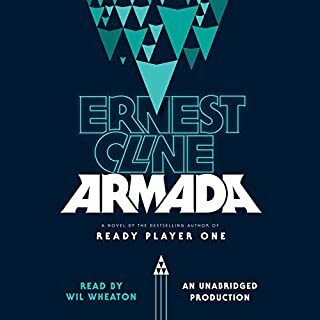 I strongly recommend that you do read it, because this novel is a masterwork in a genre (science fantasy) that is all too prone to mediocrity. 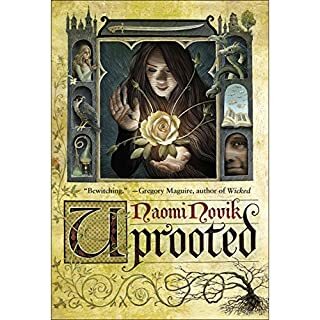 The author isn't just a great storyteller, as many science fantasy writers are: she is a great writer, which too many science fantasy writers are not. Isabel's life is thrown for a few loops when her cousin Mimi arrives from Dallas with her husband Joe. Through Mimi and Joe, Isabel meets Texas hotshot Tom Bruce, who is about to marry someone Isabel suspects of gold-digging. Further complicating matters, Tom seems to have an unusual level of interest in Isabel. 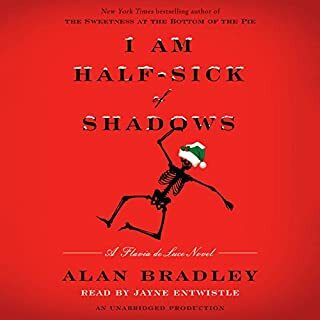 Meanwhile, Isabel has her own feelings to deal with, not to mention those of her beloved niece Cat, whose romantic interest may not be up to snuff. Really worth the read. 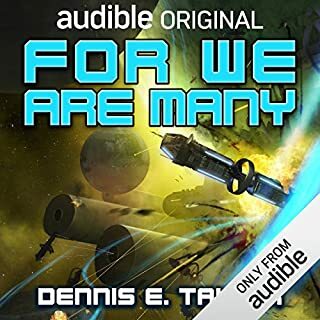 I love Davina Porter's narrator and voices. I don't hear the American accents as American, and I would know. Porter's American accents are jarring and extremely unpleasant to an American ear. And Editor please take note: The beginnings of chapters cut off the ends of the previous chapters in some instances. In all instances the beginnings of chapters follow too quickly on the ends of the previous chapters. 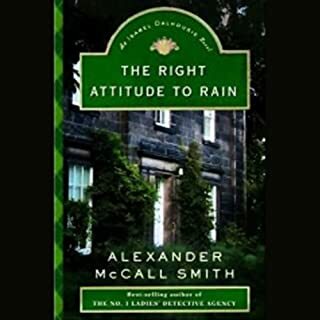 New York Times best-selling author Alexander McCall Smith, winner of the first-ever Saga Award for Wit, has entertained millions with his beloved No. 1 Ladies' Detective Agency mysteries. Now this phenomenally popular author introduces a fresh series, brimming with the charm and humor his stable of dedicated fans can't get enough of. Not Number One Ladies Detective Agency! 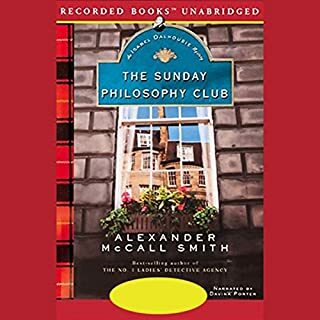 I just finished listening to The Sunday Philosophy Club: An Isabel Dalhousie Mystery by Alexander McCall Smith, and I really liked it. Smith writes gracefully, which is a pleasure in itself to experience. If you want to think and feel good at the same time, the book and the subsequent series are perfect. Isabel is a 40-something philosopher who lives according to her own elegant sense of practical ethics. As I listen, I feel blessed to swim around in her thoughts with her while she solves mysteries that she feels a duty to involve herself in. That's how she thinks of life, as a series of graceful duties. She reminds me of what I want to be. Not great literature, but a clever page turner with insight. very well read, though the men all sounds like dunderheads.